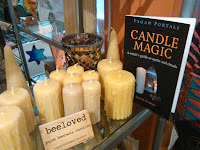 Exactly a year ago today I held the launch party for my book Pagan Portals - Candle Magic. Although the official publication date was in February, Treadwell's Bookshop had early copies in stock and Christina, who owns the shop, kindly let me hold my launch party there on January 29, 2016. 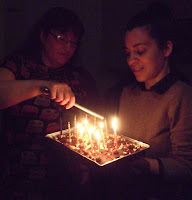 The reason for the early launch party was that I wanted it before Imbolc and Candlemas, on February 1 and 2, a traditional time for the blessing of candles. I've been delighted at how well my book has been received, with lovely reviews on several websites and in magazines including Spirit & Destiny. It has also gone on sale worldwide - I was even sent a picture of it in a shop in Tasmania! 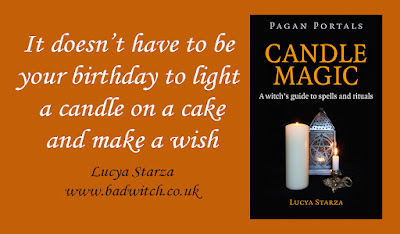 So, today I am going to light a candle on a birthday cake and make a wish - and you can join in too. Just get a cake, pop a candle on it and wish for whatever you desire. It doesn't have to be your birthday to do that kind of candle magic! 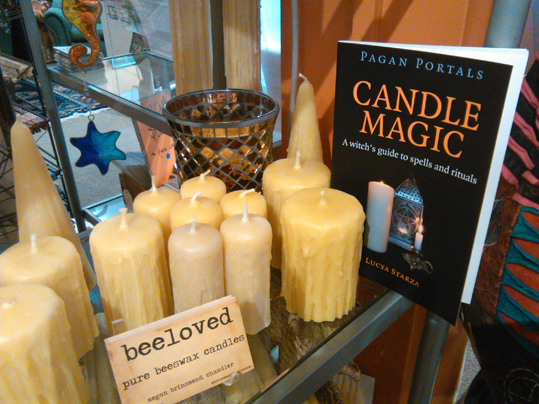 Copies of Pagan Portals - Candle Magic can be ordered from Treadwell's, Atlantis Bookshop, via the publisher Moon Books website, or through Amazon.